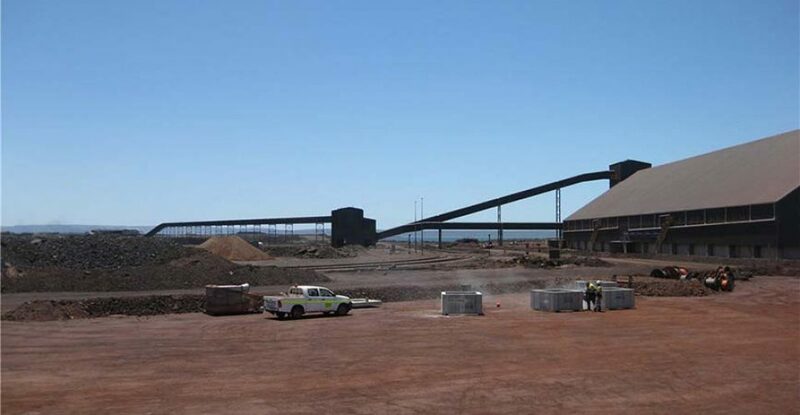 Arrium Mining is a producer and exporter of hematite iron ore through two mining operations located in South Australia – the Middleback Ranges and Southern Iron. 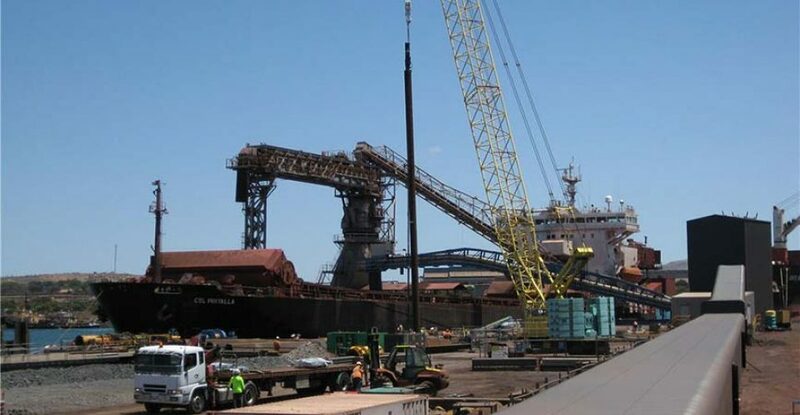 The Port expansion project expands Arriums port capacity from approximately 6mtpa to 12mtpa, which will enable iron ore sales to increase to a run rate of over 11mtpa by mid-2013. The expansion will result in an ‘iron ore capable’ inner harbour with the ability to receive trains of up to 1.8km in length from both standard and narrow gauge iron ore trains, including offloading trains ‘on the move’. The expansion will include two storage sheds and will enable loading vessels of up to handi-max size at a new bulk products berth, as well as the simultaneous loading of two cape-size vessels through an additional transhipment vessel. KAPP Engineering was initially contracted by CCA Industrial (sub contracted to Kerman Contracting) to provide the engineering, design and commissioning for the Plant Control System. KAPP assisted CCAI with the design of the communications platform and architecture for the plant which utilised ground-up Rockwell Automation Architecture. 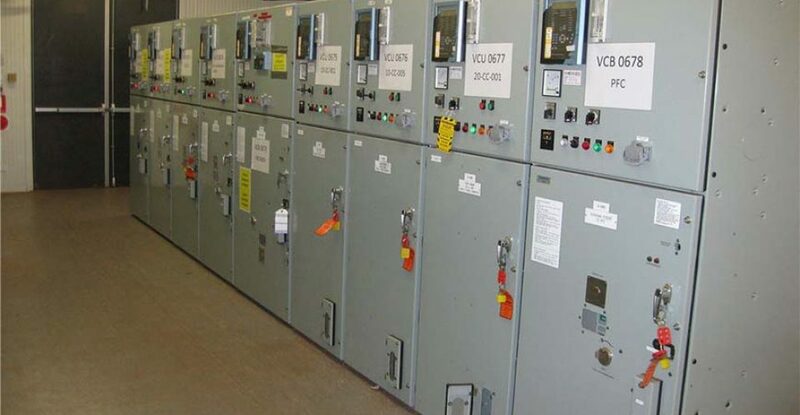 The PCS consisted of E3+ Intelligent Motor Starters, PowerFlex 700 Series Variable Speed Drives and a Primary ControlLogix PLC Chassis communicating with Flex Remote I/O over ControlNet. The SCADA System utilised the Rockwell FactoryTalk View SE Server Architecture with multiple clients over domain level authentication. KAPP was further contracted by Leighton Contracting to upgrade the Temporary Shiploader to a Permanent Shiploader. As a key design consultant for the PCS, KAPP was involved in the project from the early stages which involved the design of the system architecture and development of design documentation such as the Control Philosophy and Cause & Effects Tables. 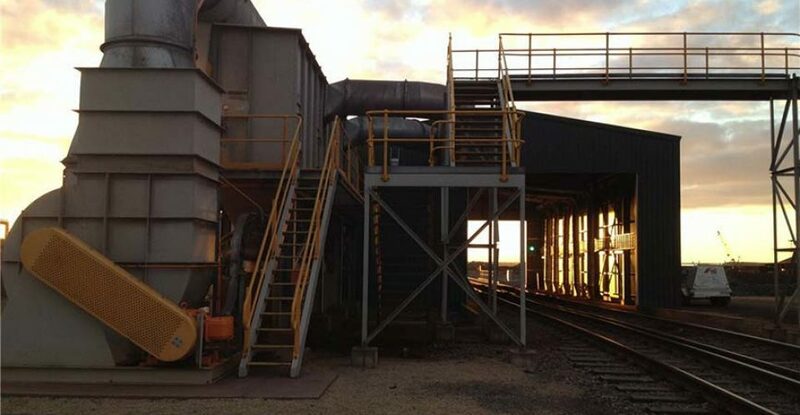 The PCS involved a combination of HV (6.6KV) DOL switchgear in combination with LV DOL’s and VSDs for control of a material conveying system transporting various grades of Iron Ore from an incoming train via two storage sheds to a vessel. The system permitted simultaneous Inloading and Outloading sequences permitting the unloading of a train into either of the two sheds as well as Outloading from either shed to a vessel. The Inloading operation utilised a cascaded PID loop for the consistent delivery of ore at a steady rate to either shed. 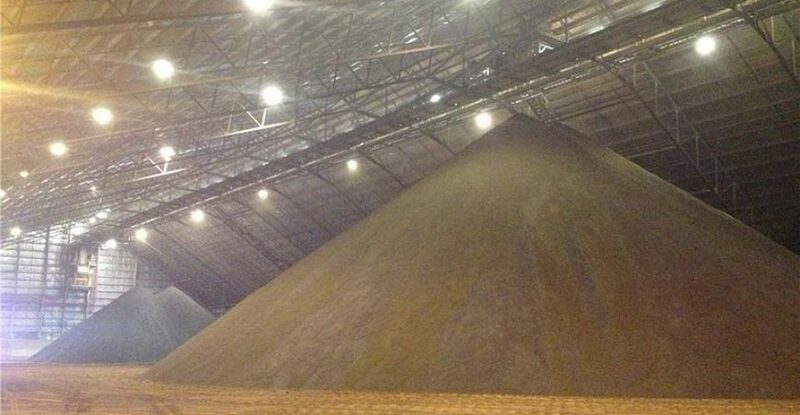 The Outloading operation permitted blending of material from one of three reclaim hoppers in each shed into a vessel with multiple holds. 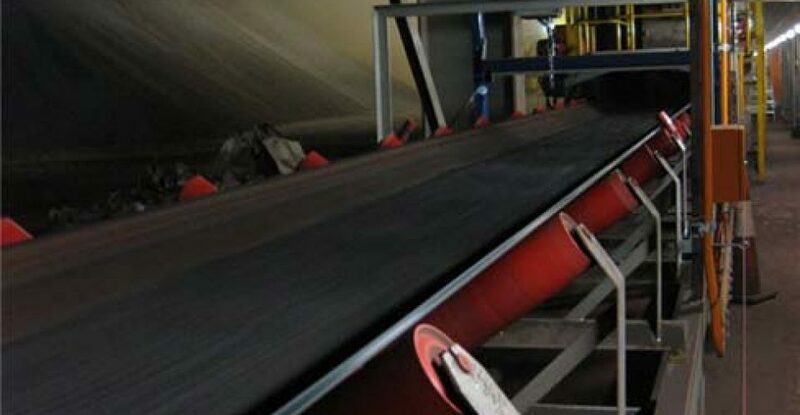 All material flow rates are PID controlled for maximum efficiency and accurate control of tonnage rates. 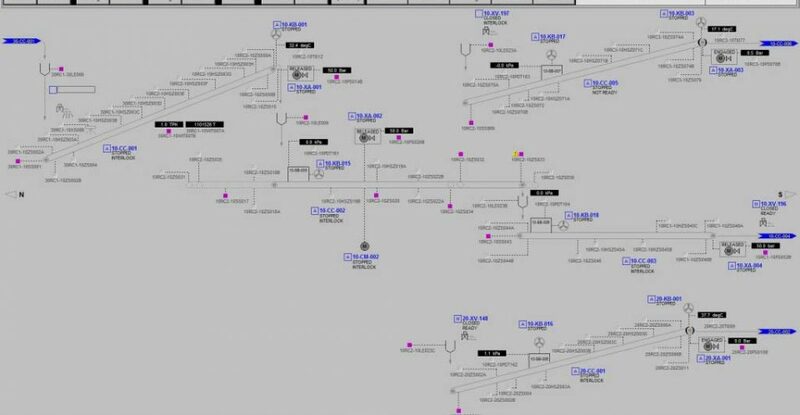 The Rockwell FactoryTalk View SE SCADA system (with Historian) was developed with intuitive uncluttered P&ID style graphics with pop-ups menus permitting smooth operation of the plant by two duty operators / maintainers at any time. 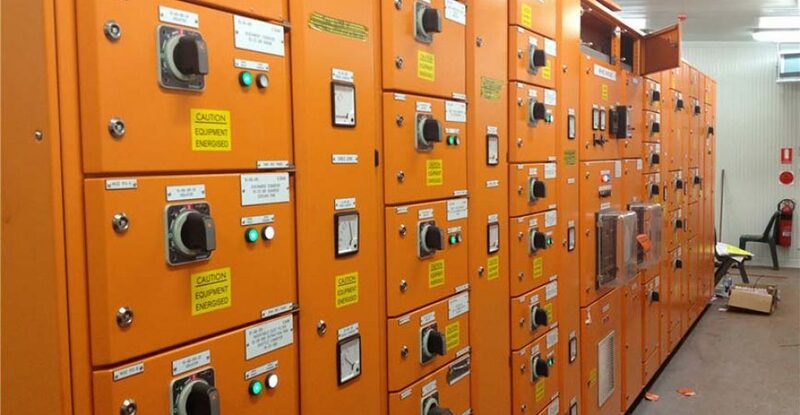 The ControlLogix PLC utilised the latest in PLC generated Alarms which are pushed directly to the SCADA system thus significantly reducing network load and permitting millisecond time stamping of alarms. With real time remote access to the site via a Cellular VPN connection, KAPP was able to assist with commissioning activities and provide off-site assistance from Perth resulting in minimised site visits and quick troubleshooting assistance.